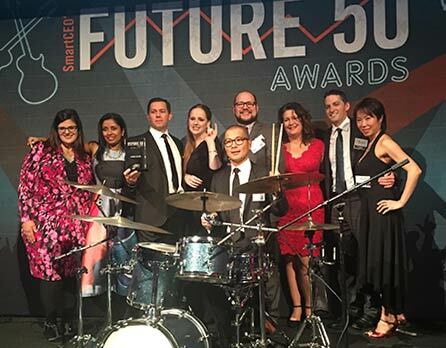 NEW YORK, February 1, 2016—SmartCEO this year recognized Flywheel Partners with a New York Future 50 Award. The annual award goes to 50 of the region's fastest growing mid-sized companies based on employee and revenue growth. Flywheel Partners is an agency providing strategic consulting, marketing development, and sales training solutions to healthcare companies. The agency is celebrating 10 years in business this year. Flywheel Partners routinely works with pharmaceutical, specialty biotech, medical device, and healthcare IT teams, and offers sales force training in addition to strategy, marketing, and communications support. 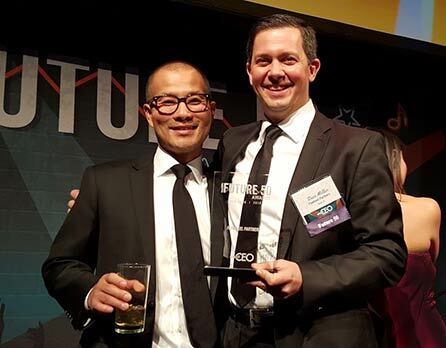 Flywheel Partners was recognized at the New York SmartCEO Future 50 Award ceremony on Jan. 27 with more than 500 local executives and guests in attendance and will be profiled in an upcoming issue of SmartCEO magazine. Flywheel Partners is a full-service professional agency that integrates unique disciplines to help healthcare companies connect with customers for breakthrough business results. With clients in the fields of biotech, pharmaceutical and device manufacturing, Flywheel Partners supports companies in developing transformational strategy, marketing communications, and sales force training to power brand growth. Flywheel is headquartered in New York, with offices in Boston. For more information, visit flywheelpartners.com.